Designed to manage large music collections. Start right away – no need to index your music collections first. 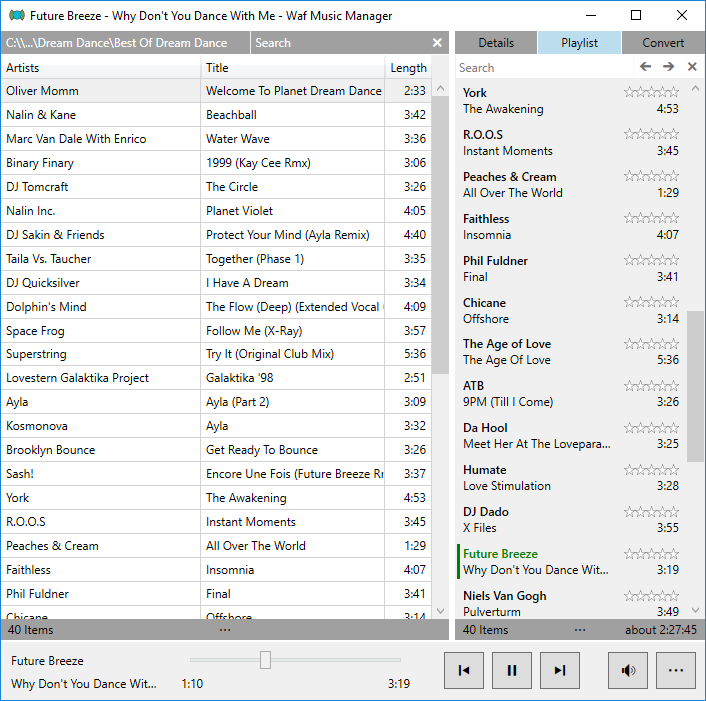 Edit the metadata of multiple music files at once. Supports the audio formats: MP3, WMA, M4A (AAC), WAV and Flac. Supports the video formats: MP4 and MKV (audio only). Supports the playlist formats: M3U and WPL (WPL files can only be read). Provides an audio file converter for the MP3 format. Small and lightweight application that needs less than 1 MB space on the local disk. Utilizes the resources of modern hardware: Uses multiple CPU cores and 64bit if available. Optimized for high resolution displays (High DPI). Build upon the next generation Windows API: Windows Runtime. Minimum: Windows 8.1 or later. Recommended: Windows 10 or later.